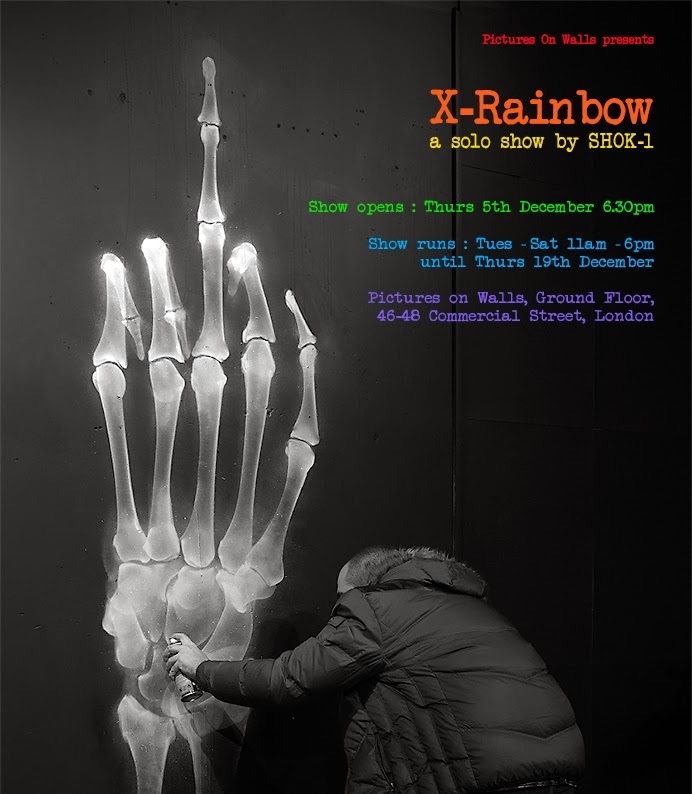 Pictures on Walls are hosting a new exhibition at their Commercial street space featuring the work of the super talented SHOK-1. The show entitled "X Rainbow" will see new works from the artist and the release of a new X Rainbow edition. The show opens with a private view the 5th December from 6pm and the exhibition will run at the space until the 19th of the month.